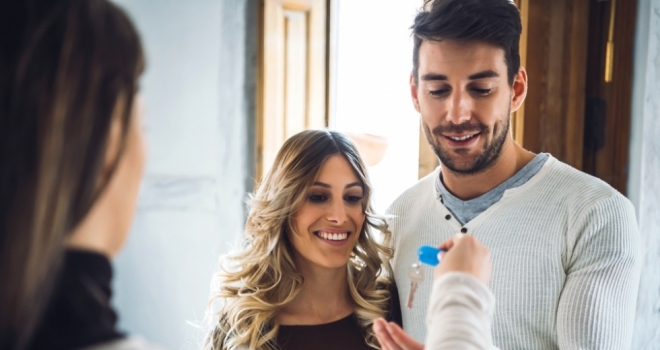 Ipswich Building Society has announced that it has launched two new mortgage deals for local first time buyers looking to get on the property ladder. According to the lender, applicants can access up to 95% LTV and loans are available to applicants with gifted deposits, including entirely gifted funds for those who have been renting for 12 months or more. • Fixed rate at 2.93% until 31 March 2021 (5.3% APRC*), with a completion fee of £800. • Discount rate at the Society’s Standard Variable Rate (currently 5.74%) minus 3.01%, giving a pay rate of 2.73% for two years from the completion date (5.4% APRC*), with no completion fee. Mortgages are available from five to 40-year terms up to a maximum loan of £500,000 and have an application fee of £199, CHAPs fee of £35 and a tiered valuation fee based on property value. During the fixed or discount rate period the products offer fee-free overpayments up to 50% of the original loan amount. For overpayments in excess of 50% of the original loan amount, or early redemption, an Early Repayment Charge (ERC) applies. For fixed rate products this is at 3% and for discount rate products at 1%. For overpayments this charge is calculated on the overpayment amount that exceeds the 50% allowance, and for early redemption is calculated on the original loan amount. All Ipswich Building Society mortgage applicants benefit from the Society’s established manual underwriting process. With each lending decision, the Society takes individual circumstances into account and is therefore able to offer a more personal approach to borrowers who may otherwise fall outside of the criteria of automated lenders. The new deals are exclusive to property purchases within Suffolk, Norfolk, Essex, Cambridgeshire, Hertfordshire, Bedfordshire, and Buckinghamshire, and are available either direct or through mortgage intermediaries based in these counties. Applicants who are using entirely gifted funds for their deposit can access up to 95% LTV - providing the deposit is from a close family member such as parent, grandparent, child or sibling. Applicants must also be able to supply 12 months’ worth of rental history to access 95% LTV. Where rental history cannot be provided, the Society will lend up to 90% LTV. Richard Norrington, CEO at Ipswich Building Society, said: “As a mutual organisation we are committed to supporting our members and local communities. I am delighted we are able to assist first time buyers, purchasing their property in our heartland area, with these dedicated products.